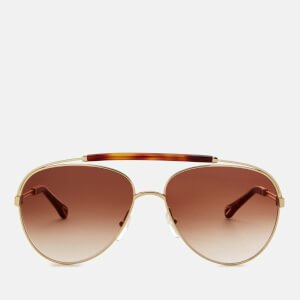 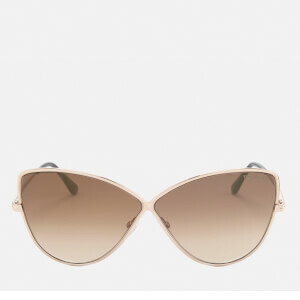 Gold-tone aviator-style sunglasses from McQ, Alexander McQueen’s diffusion line. 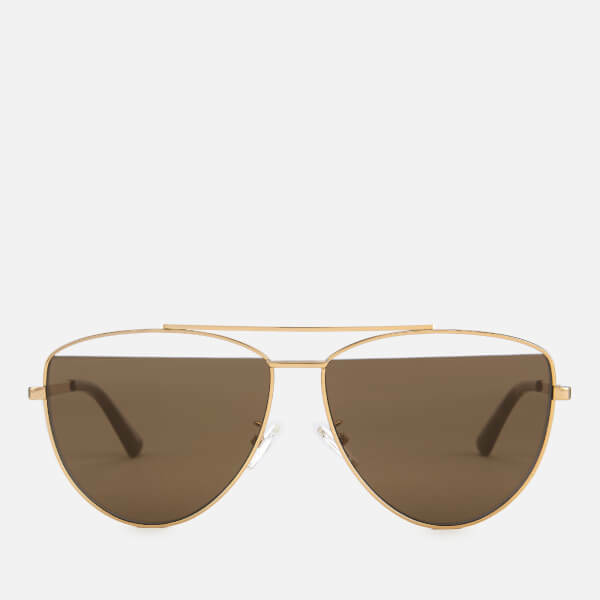 Inset with solid brown lenses with straight top edges that create a gap between the metal wire frame, the sunglasses feature a straight bridge, top sweat bar and adjustable nose pads for comfortable wear. 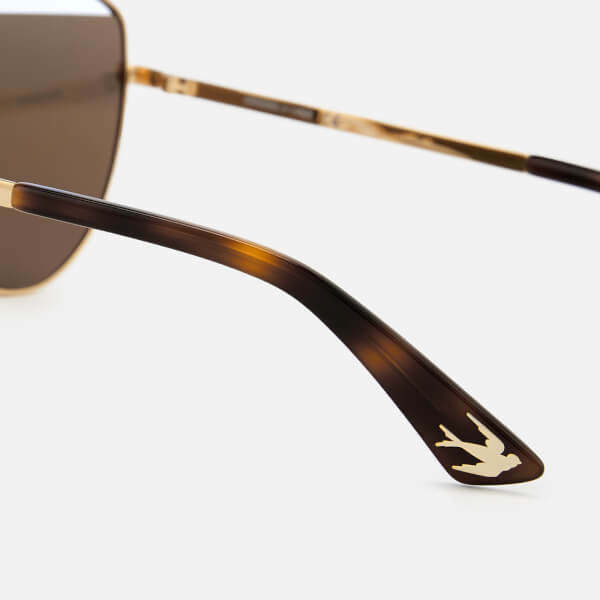 Fitted with thin metal arms with tortoiseshell acetate ear pieces, the aviators are finished with an embossed McQ logo and signature swallow motif on the left temple tip. 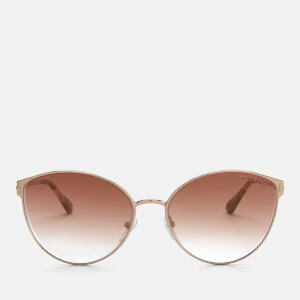 Eye Width: 60mm. 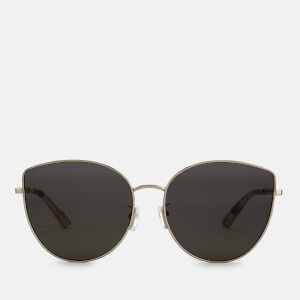 Bridge Width: 18mm. 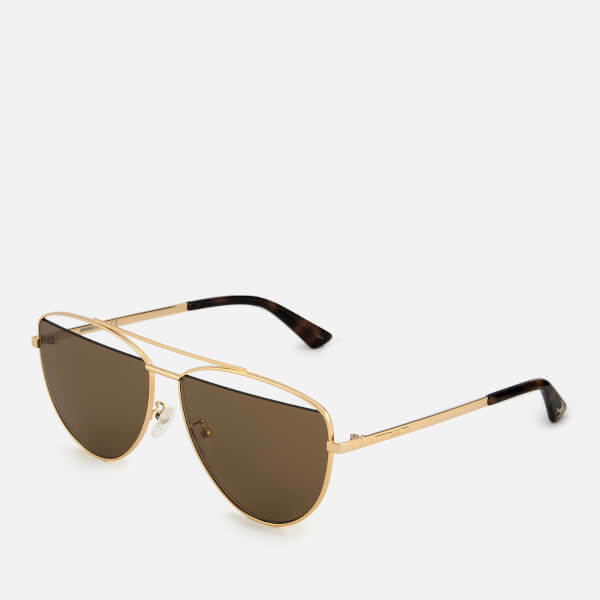 Temple Length: 145mm.